Storybook Motor Inn, lot of 3 vintage postcards, Glen-North Conway, N.H.
Vintage Downtowner Motor Inn Rt 66 Albuquerque New Mexico NM Postcard !! 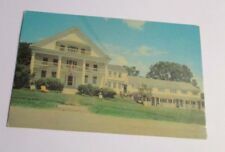 c1967 Postcard~Reading Motor Inn, Reading Pa. This page was last updated: 25-Apr 05:21. Number of bids and bid amounts may be slightly out of date. See each listing for international shipping options and costs.